I hadn't noticed an announcement, but last night, it appeared my realm Malfurion-US had been merged with another. Standing in the Shrine of Two Moons, over by the Inn Keeper was a player from another realm. Now looking back, probably partied with someone and pulled to my realm, but.. this got me thinking. The Party of Elkagorasas. If I were to multi-box, I could technically create characters on each realm with the exact same name. Heck, I could make a druid, get the stag glyph. 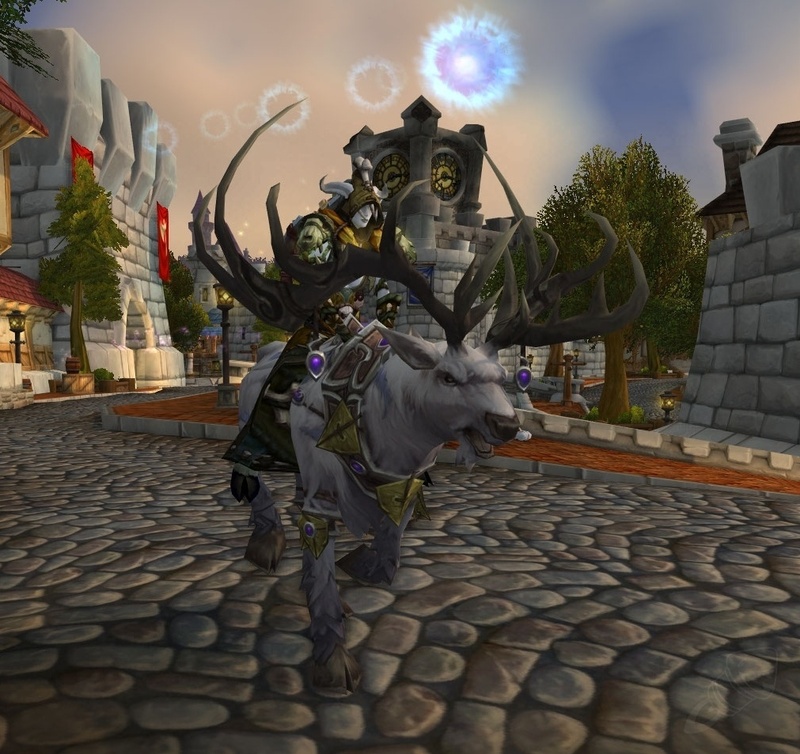 Elkagorasa the warlock, riding Elk the druid-elk-mount. 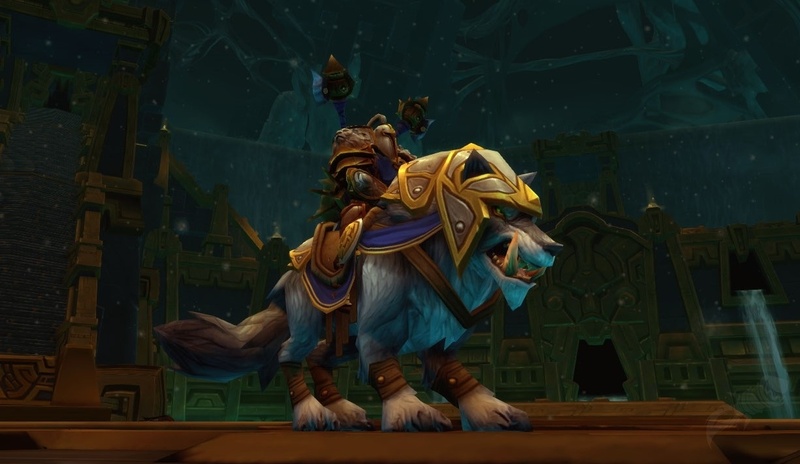 Makes me seriously consider a druid for my Instant 90 in WoD. Even without the multi-boxing aspect, having the option 2 or 3 of my characters all with exact same name is intriguing. Speaking of druids, Elkagorasa this morning picked up the Overgrown Lilypad from Sele'na (Gomez). This allows me to self-cast symbiosis on me, providing, yet another heals.